Want to become a distributor?,........... You are looking for a distributor? 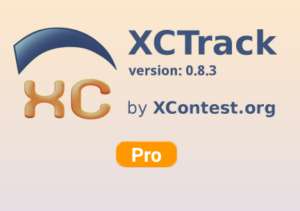 XCTrack is a complete flight software for paragliding pilots. - both for free flight and competitions. The PRO version contains features that are not available with the "standard" version. 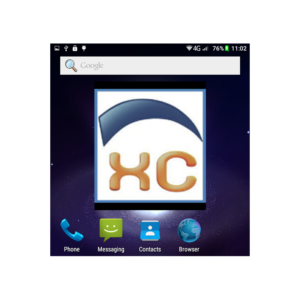 The XCTrack development team will increase these additional features in future upgrades. 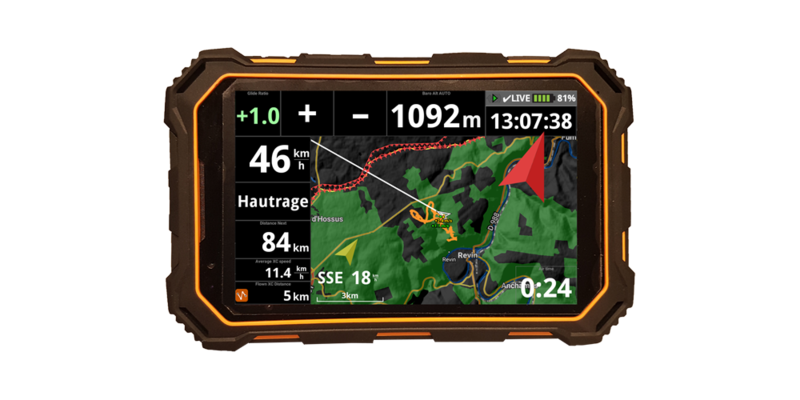 AIR³ comes with a PRO version of XCTrack with a perpetual license. 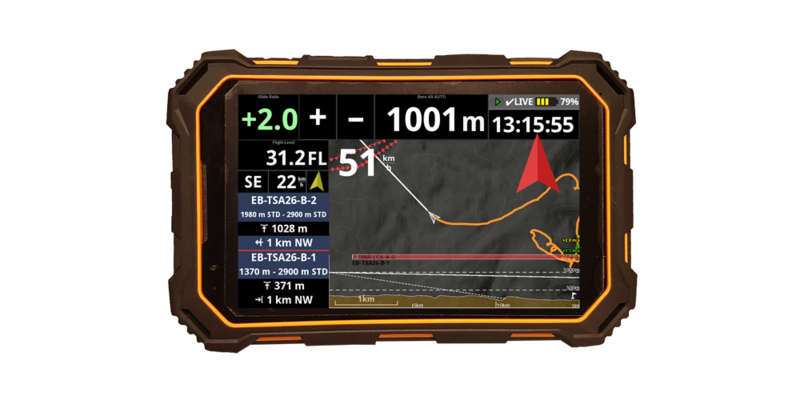 This means that the pilots using AIR³ will benefit from these new features when they become available. 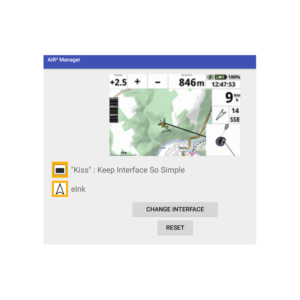 With AIR³ Manager, you don’t need anymore to understand all the powerful features of XCTrack to change the profile, the theme or some basic functionalities. 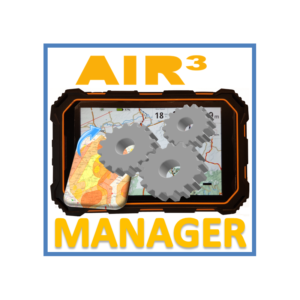 AIR³ Manager gives you the opportunity to auto-launch XCTrack on boot. You quit XCTrack? Click on the large widget to launch it. Select your prefered profile and theme. 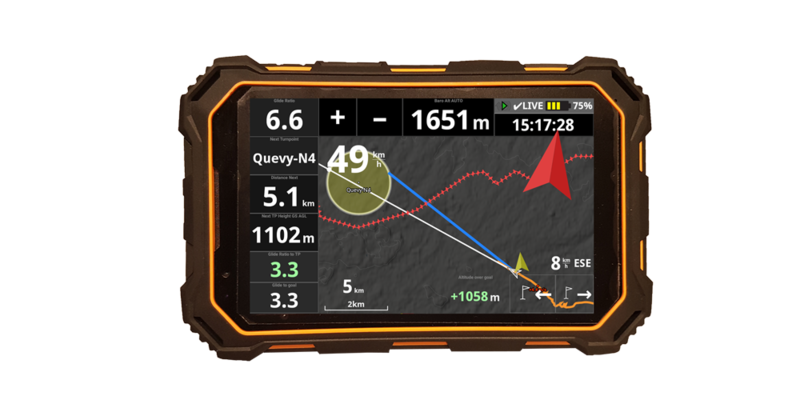 Choose one of the preinstalled profiles: Kiss (Keep It So Simple), Easy (for XC and Leisure) or Expert for Advanced Pilots and Competitors. Select your favorite theme. AIR³ Manager takes care of the rest. Good readability is essential for a flight instrument. There are different ways to improve readability. Some devices are brighter, others use eInk/black and white screens. Based on our research, analysing the Pro and Cons of each solution, we decided to follow a third way. 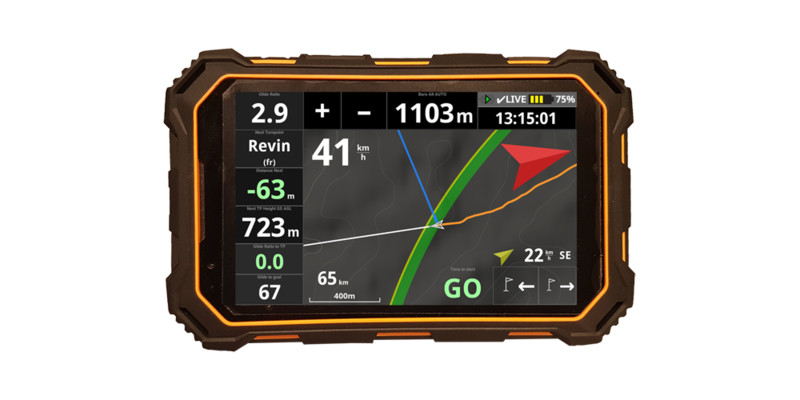 The black and white (eInk) display prevents pilots from having a lot of useful information. These screens are quite fragile. Even with a brighter screen, direct sunlight makes everything unreadable when placed horizontaly on the cockpit. If you tilt the screen so that it is right in front of your eyes, you get maximum readability, even in direct sunlight. 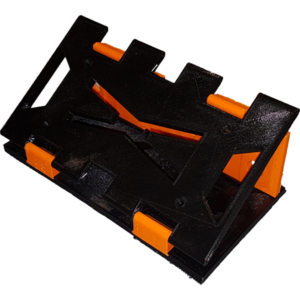 The AIR³ base has been designed to allow the pilot to easily install it, even in flight. 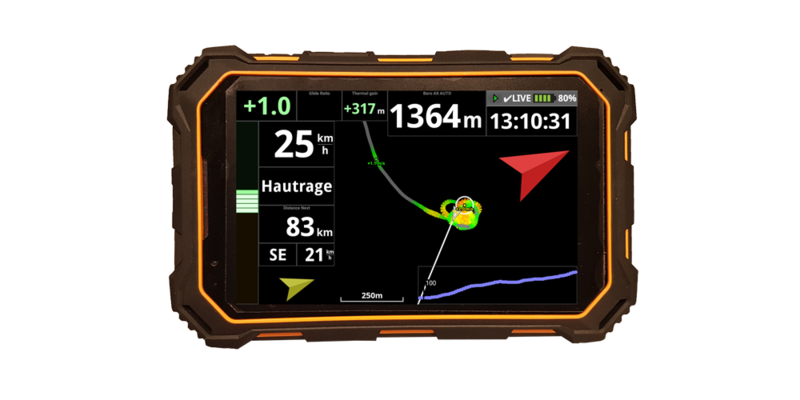 Want to get the next generation flight instrument?